Is Perfume now too western for some tastes? The PV for Perfume’s new single release ‘Spending All My Time’ has now been released. ‘Spending All My Time’ marks Perfume’s 21st single release (following Spring Of Life which was issued back in April) and the video features more of the stylish and complicated choreography that’s become a mainstay of the pop trio’s output. One of the interesting points about Spending All My Time is the fact that Perfume have adopted English lyrics for the track. Plus, the arrangement of the song sees producer Yasutaka Nakata taking a new approach which, when combined with the English lyrics, sees a venture into different musical waters, but with the same distinctive Perfume licks. And yet, this approach has resulted in some commentators on the interwebs apparently losing their minds. One of the criticisms appears to be that Perfume have had the audacity to adopt English lyrics for this release – or that the sound is too “Westernised”. It’s a point of view. Except it’s such a wrong-headed point of view that it’s a surprise that the critics manage to remember the complicated instructions for breathing every day. Perfume had already stated very clearly, long before the release of this single, that they were moving into a global market. There was that whole global website launch for instance that some people might have missed. Or the fact they were embarking on their first tour outside of Japan. Or indeed that “Perfume Global Compilation LOVE THE WORLD” release due out next month. Perfume are now operating in a very different world than the one they started out in. K-Pop has managed to get the jump on J-Pop on the global market and is now making an impact on the West. While we love our J-Pop it has to be acknowledged that it doesn’t always travel particularly well. While it encompasses a broad range of artists and sounds it does occupy a niche market when you place it in the US or the UK. K-Pop, generally, works differently. If you take an outfit like 2NE1 you can clearly see that the Western Pop/R’n’B sound has been studied very carefully, deconstructed and rebuilt into something that while it retains its own identity, it also retains those elements that appeal to a Western audience. With Perfume venturing forth on their global venture it’s clear that they’re going to apply a little strategy to their efforts. But it’s precisely this adoption of (what appears to be) Western music elements that seems to be upsetting a minority of commentators. Interestingly, when you look at some of the commentary by the critics on some Japanese guitar bands, the argument becomes reversed. The adoption of a Western – particularly retro – sound, be it punk or American alt-rock, suddenly doesn’t become a reason for criticism, it becomes one of their strengths. You can’t have it both ways. 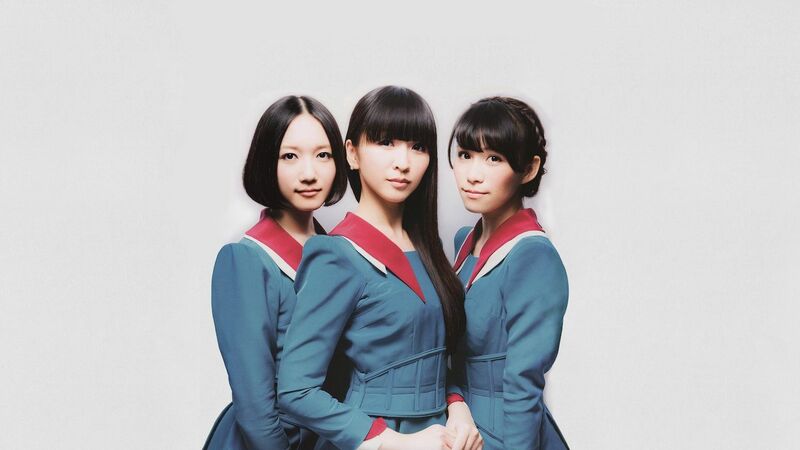 Perfume also have the unlucky position of being one of the most well known commercial J-Pop outfits in the contemporary Japanese music scene. This makes them a target for the same critcs who are clearly unhappy that pop music is enjoying so much success in the Japanese charts. AKB48 are the usual point of attack, but this is low hanging fruit and any cracks that can be exploited in the upper end of J-Pop hierarchy are much more desirable goals. For people paying close attention for instance, many reviews or articles on the likes of Perfume appear to be positive commentary, but are peppered with back-handed compliments and a constant mantra of referencing the “manufactured music” tag that’s the weapon of choice for the cynics. Whether or not ‘Spending All My Time’ is going to provide Perfume with the global hit that they’re aiming for remains to be seen. ‘Spending All My Time’ is released 15th August.